We recorded the last Ruby meetup, and it's on Vimeo for those interested. We recorded a most excellent presentation by Jeremy Demar about pcap processing with python, and unfortunately something went wrong and there is no audio. We've got things down to a science now, and in the future there should be many more presentations from the lab. 757.rb Ruby Group December 2010 presentation. Tips for optimizing development environment (GIT) presented by Ken Collins from 757Labs on Vimeo. 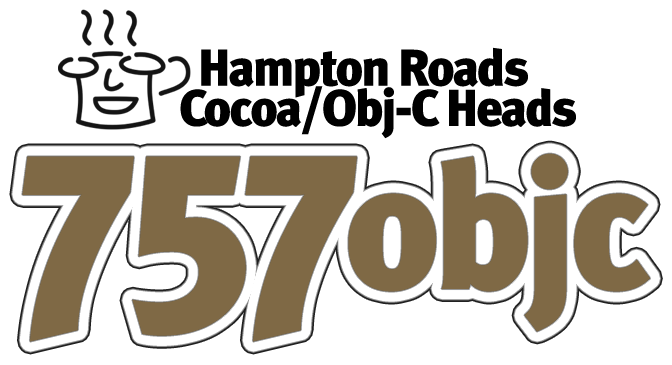 757.rb Learn to Program #1 a success! 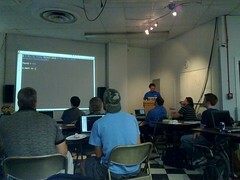 On Sept 08th the 757.rb Ruby Meetup Group met at the lab for an introduction to Ruby programming. Attendance hit at least 23 people, and the presentation was good. Thanks to all for coming out, and thanks to Ken Collins for putting it together! The next 757.rb meet up (in a month) will detail actually writing applications in Ruby. Just a heads up that the 757.rb Ruby group is meeting on Wednesday, Aug 11th at 6PM with a presentation "Using ActiveMerchant for Fun and Profit" presented by Nathaniel Talbott.